On Friday 14 September Michael Meacher, the Labour MP for Oldham West is tabling a Private Member's Bill into the House of Commons that will, if passed, introduce a General Anti-Tax Avoidance Principle (GATAP) into UK law for the first time. The Bill is timely: the day before Meacher is leading a three hour back bench debate in the House of Commons on tax avoidance whilst on the same day as Meacher's Bill gets a hearing the government's consultation on its proposed General Anti-Abuse Rule (GAAR) for tax closes to public comments. The contrast between Meacher's Bill and the GATAP it proposes and the government's proposed GAAR is stark. Extraordinarily, the government's economic impact assessment for its proposal suggests it will have no measurable economic impact at all. What this very obviously means is that despite George Osborne's claim in March when delivering his budget that he thought tax avoidance was 'morally repugnant' he is actually intending to do nothing about it. The government proposal for a GAAR makes that clear: it makes it very obvious that they only want to stop the most abusive of tax schemes. There are probably at most a handful a year that will be stopped as a result and since they'll now probably never see the light of day because of the GAAR it is quite possibly true that the government's proposed law might be a massive white elephant in that it might never be used. Some, including ARC, the union representing senior officials at HMRC suspect that this is the true intention of the government's proposal. They have suggested, I think correctly, that its purpose is to really stop almost nothing whilst allowing the vast amount of tax avoidance it will never address be deemed ethically and technically acceptable by the tax profession when nothing could be further from the truth to the rest of society. Meacher's Bill, which was written by me, and which has now been published after checking by lawyers and parliamentary draftsmen, looks superficially similar to the government's proposed new law and yet its impact could not be more different. First of all, Meacher's Bill is broader by design than the government's. It covers VAT and national insurance for a start, almost doubling the value of the taxes that it would cover compared to the government's Bill, which omits both these taxes. Secondly, instead of being extremely narrowly focussed, as the government's Bill is, Meacher's is designed to target abuse on a wide range of tax issues. So, for example, it attacks shifting income from one tax to another to reduce the tax paid and it challenges any scheme resulting in tax paid late. It also tackles any scheme that might artificially shift a profit subject to tax out of the UK. In addition if it seems that the wrong person is paying tax on a source of income or that the source of income in question is wrongly described e.g. as investment income when it actually seems to come from a profit or employment, then Meacher's Bill gives HM Revenue & Customs the power to challenge the arrangement. It achieves this goal in a simple way. What the Bill does is give the Revenue the right to look at what has really gone on in a transaction, and who really seems to be involved in it, and to then compare that economic reality with the way in which the transaction has been reported for tax (or has not been reported if someone has tried to shift it right out of the UK tax net). This is the principle at the core of the Bill. If the substance of what has happened agrees with the way (or form) in which it is reported for tax then HM Revenue & Customs can't challenge it, unless of course it falls foul of some other provision. But, if the substance and form don't agree then HM Revenue & Customs are given the right to correct the way in which the tax is assessed. They are given the power to do this by letting them demand the tax they think is due under whichever tax and tax law they think is appropriate from whoever they think really owes it, so long as, of course, they can show why this is the case. Such a principle is not an excuse for arbitrary taxation. The tax payer is, of course, protected in all this. Arrangements specifically allowed or encouraged by law are specifically exempted from challenge, and HMRC are encouraged to list what these are. In addition taxpayers are given the right to apply for a clearance from HMRC in advance of any transaction to make sure that it is acceptable and that the GATAP would not apply to it. They would, admittedly, have to pay for this service to avoid imposing too heavy a cost on HMRC, but with charges starting at £1,000 plus VAT such an a clearance will, in practice, be much cheaper than many accountant's uncertain tax advice and it will provide something so many businesses have demanded for many years, which is certainty about where they stand on any tax issue before they actually enter into a deal. The importance of this draft legislation cannot be overstated. For the last 75 years tax avoiders have relied on the judgement in the so called Duke of Westminster case, that said that if they could find a mechanism, however artificial, that let them avoid paying tax they were at liberty to use it. The House of Lords tried to limit this in the early 1980s, creating what became known as the Ramsey principle. However by early this century this was almost entirely neutered by subsequent House of Lords decisions and although HMRC has improved its information gathering on tax avoidance since then, and won some cases on the most abusive tax schemes, the absence of a general anti-avoidance principle has left it, and in turn all other tax payers, vulnerable to losses to such arrangements. 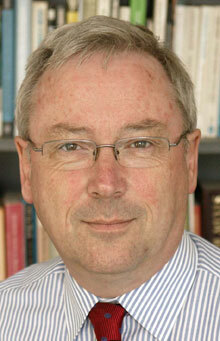 The author of Meacher's Bill has estimated, for the TUC, that tax avoidance costs the UK £25 billion a year. Meacher's Bill consigns the Duke of Westminster decision to history. Now if an arrangement is put in place to save tax HMRC can attack it, subject to a clearance system and comprehensive guidance on what is and is not acceptable so that most tax payers will have no risk at all of falling foul of this new measure. As such this measure is vital. It will raise significant tax revenue when that revenue is the scarcest commodity in the UK and public services are under threat as a result of it not being available. That same extra tax revenue could alternatively also help cut the deficit. The impact is even more widespread than that though. As importantly as the tax raised, this measure will stop tax competition determining which businesses win and lose in the UK economy. It is ludicrous that much competition between businesses in the UK is undertaken on the basis of who can best abuse regulations (and tax most of all) and has little at all to do with who can offer the best product or service to their customer. The commonplace use of offshore tax arrangements in big business is a part of this trend, but it has spread right through the small business and the contracting sector too. 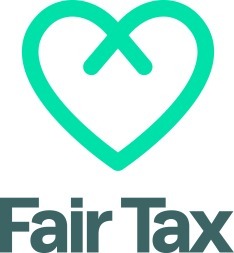 The result is that the honest business, the fair employer, the company that wants to invest in the future and the business that wants to be sure to do the right thing by the community all have no hope; the pressure of short term cheating means it is the tax avoiders who win over responsible business. No wonder that the UK economy is on such a mess and no wonder that when tax cheating is all the value added that most accountants can supply to their clients we're not growing when so many other countries are. There is a growing demand for a new corporate ethic in the UK. Across the political spectrum and in society there is a demand for responsibility as a result of the continual crisis, scandal and tales of corruption that form the everyday tale of British business. That demand is not, unfortunately, coming from all in business. It is coming most strongly from those who business is clearly failing to serve. That business will not like this proposed measure does not matter as a result. What we now know is that what business wants is very rarely what society needs. This Bill is all about what society needs. The government has misread this issue. Its charade of a reform is a hollow and empty gesture actually intended to make it easier for most tax avoidance to continue unabated. Meacher's Bill is very different. It sets out to transform the way in which business in this country operates. It takes tax competition and cheating out of the equation and puts in it place a level playing field where honest business has to compete on the basis of the service it can supply to its customers. That will transform the culture of short termism,speculation and straightforward abuse that has harmed UK business for far too long and in its place business will be forced to do what it supposedly does best, which is using scarce resources to best meet customer need. We need Meacher's Bill to stop tax cheating in this country and, as one lawyer who has read the bill said, "this works" to achieve that. But we need this Bill for much bigger reasons too: this Bill is literally a game changer for the UK. The challenge now is to politicians of all parties. Are they willing to support something that is obviously right? “Even” as a tax practitioner I would agree with much of the sentiment here. However, however much consultation did you offer? It may be a work of genius, but is it just a one man band or narrow interest group initiative? Is this gesture politics or do you know how to build a coalition of varied interests to make actual change rather than a posture position? Unfortunately I can see the legal profession having a bonanza with these proposals. Perhaps you might think of reforms in the legal profession, because they already hold a stranglehold on the tax system. Good luck with that one, because Parliament is flooded with lawyers and turkeys don’t vote for Christmas. GAARs have been pretty ineffective worldwide to date. Presumably you have conducted international comparative research and come up with the best bits- or do you think you are breaking new ground? Have you invited a consultation process? Politicians with their egoic need to stay in power, means that fundamental solutions don’t appeal. Hence why so much effort is spent on symptomatic solutions which invariably mean we end up going back to the same problem, like some perpetual ‘Groundhog day’. The real challenge here is that, as you mention, politicians would have to agree. That’s a democratic action and not the game of politics. It’s not that any challenge we face cannot be overcome, it is the systems, like the political and economic systems in place, which prevent fundamental solutions from being implemented.